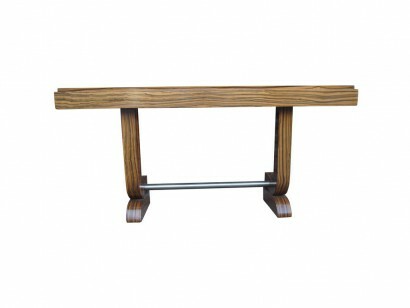 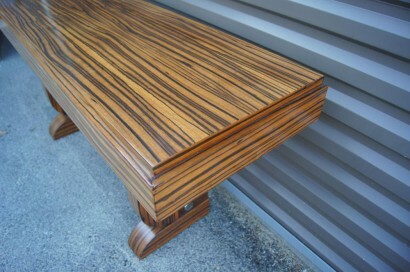 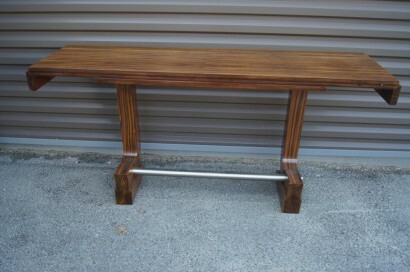 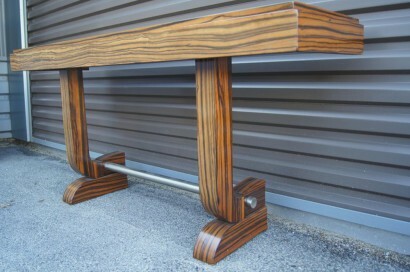 This striking console, in a richly grained zebrawood, has a muscular Art Deco aesthetic. 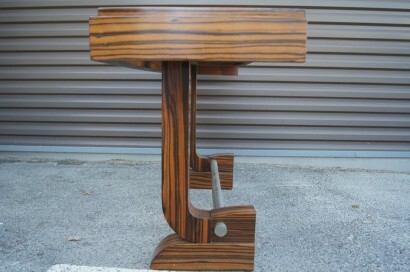 The top is 4.5 inches thick with a slight setback along the front and sides. 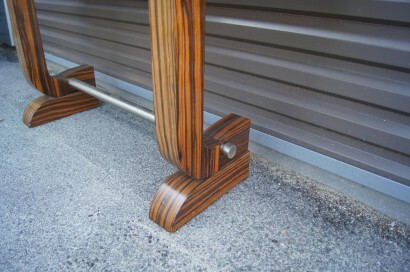 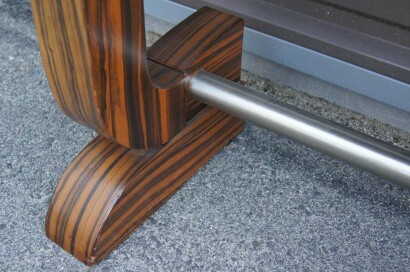 An aluminum bar stabilizes the 3-inch-thick legs, which curve inward and back out at the bottom. 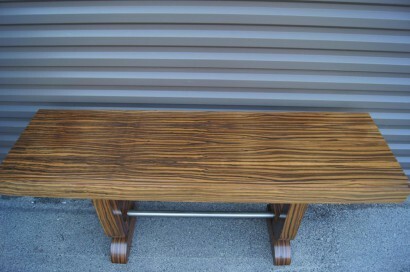 We have two consoles available.